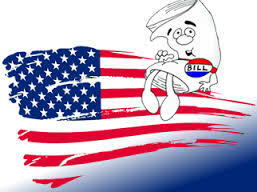 When a lawmaker (a Senator or a House of Representative) has an idea for a bill, often at the suggestion of a constituent, he or she passes the information on to the Legislative Reference Bureau to be written in proper technical form. The Rules Committee, made up of 3 members from the majority party and 2 from the minority, refers the bill to the appropriate committee for review. The bill’s sponsor (Senator or Representative) explains the legislation to committee members, who can then ask questions. Lobbyists, representatives of concerned groups and members of the public can voice support or opposition. Only if a majority of the committee votes in favor of the bill is it considered before the entire chamber (Senate or House). The bill is read for a second time before the full legislative body. Changes, or “amendments”, can still be proposed at this stage. The bill is read for a third and final time before the full chamber. After the sponsor explains the bill, members (legislators) of the chamber can ask questions. When debate is completed, the chamber votes on the bill. A simple majority is needed: 60 in the House, 30 in the Senate for the bill to pass. 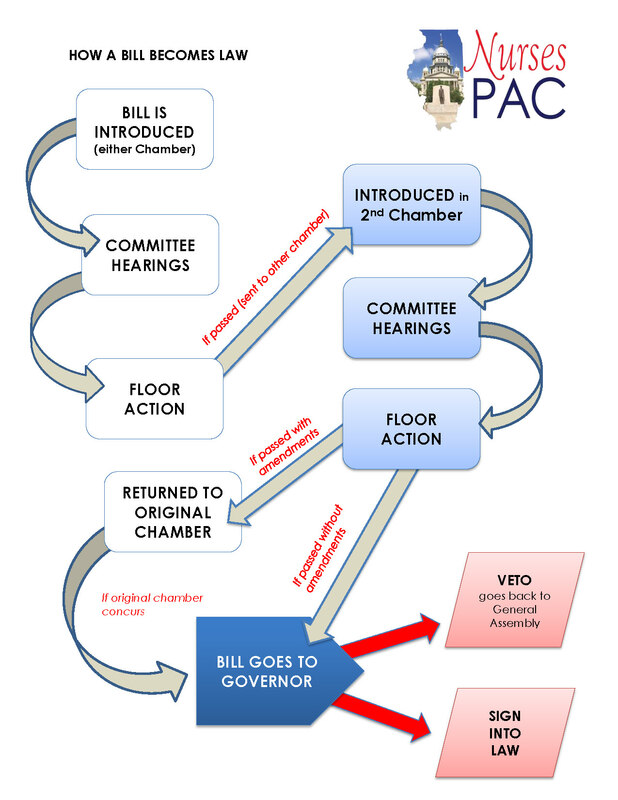 Bills that are approved on Third Reading move over to the other chamber where they go through the same process. If the second chamber approves the bill as it is written, it is sent directly to the Governor. If a bill is amended in the second chamber and then passed, it must return to the chamber in which it originated so the members can vote to “concur”, or agree with the change. If the vote to concur is successful, the bill is sent to the Governor. The Governor may sign the bill into law, veto it with recommendations for changes, or veto it absolutely. The bill becomes law when the Governor signs it or if he fails to take action within 60 days. If a bill is vetoed, it can become law if both chambers of the General Assembly vote by two-third majorities to override the Governor’s veto. – A legislative proposal that if passed by both the House and the Senate and approved by the Governor becomes law. Each bill is assigned a bill number. HB denotes bills that originate in the House and SB denotes bills that originate in the Senate.